Reddit’s annual Secret Santa is a joyous event for all involved. Over 100,000 Redditors participated this year, including Alyssa Milano, Snoop Dogg, and Bill Gates. Gates is the stalwart on the list, as he’s been doling out presents to lucky Redditors since 2013. This year, it was Reddit user Aerrix who found herself on the receiving end of Gates’ generosity. And generous he was; his oversized shipment even contained gifts for her dog. Among the highlights were big ticket items (for a Secret Santa, anyway) like an Xbox One and NES Classic and smaller, thoughtful gifts that showed Gates put in a good deal of thought to his selections. Among these were a picture (in a Zelda frame) of Gates Photoshopped into an existing image of Aerrix and her husband. Aerrix, Since you’re originally from Louisiana and miss your uncle’s Cajun cooking, I thought you might enjoy trying some of the recipes from this cookbook. The generosity didn’t end there. But I’ll let her Imgur album do the talking. I won Secret Santa…Bill Gates was my Santa! 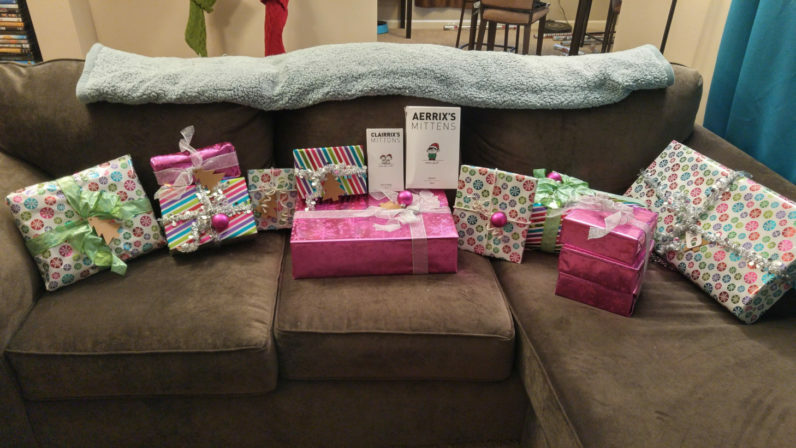 The bow on top had to be the personal note Gates left on top of the presents. I can’t believe your Secret Santa left you hanging last year. To ensure you don’t lose faith in the Reddit community, I’ve enclosed several gifts that I hope you will enjoy. There are a few video games to play, some things to keep you warm and three of my favorite movies for you to watch over the holidays. I’ve also made a donation in your name to code.org, to help give more students the chance to learn computer science. — With best wishes from Seattle, Bill Gates.